At Moocow we make sure we’re always ahead of the game when it comes to the latest tech and web trends. We’re always on the look out for great stories, updates and info relating to the world of tech. 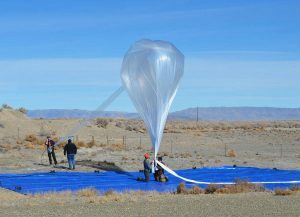 Recently in the news, we stumbled across a great little project named Loon. 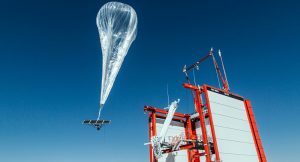 Originating as a research project from X (previously Google X) in 2011, Loon LLC helps provide internet access to rural and remote parts of countries across the globe. 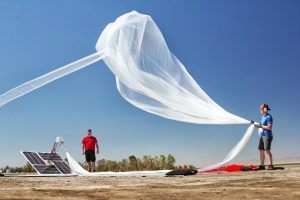 The project works by placing high-altitude balloons in to the stratosphere at altitudes of roughly 18km to provide an aerial wireless network that citizens can access in some of the most cut-off areas in the world. As of July 2018, Loon has since changed hands and is now owned as a separate company by Alphabet Inc. The project was named “Loon” originally after Google stated the concept of the project was near to impossible, referring to it as “loony” but it’s had a remarkable impact on many communities so far. With sites already in Puerto Rico, Brazil, Sri Lanka and New Zealand, Loon’s next stop is Kenya. The company are set to work alongside Telkom as part of a commercial project to provide internet access to areas of central Kenya as of 2019. This new venture hopes to help connect citizens of the country living far out from the city center where internet coverage is vastly limited. The potential for this project is huge, and we’ll hopefully be seeing a lot more Loon programs cropping up all over the globe in the near future, with hundreds of communities being able to gain access to the web.